Below is another great article by Dr. Joel Fuhrman. 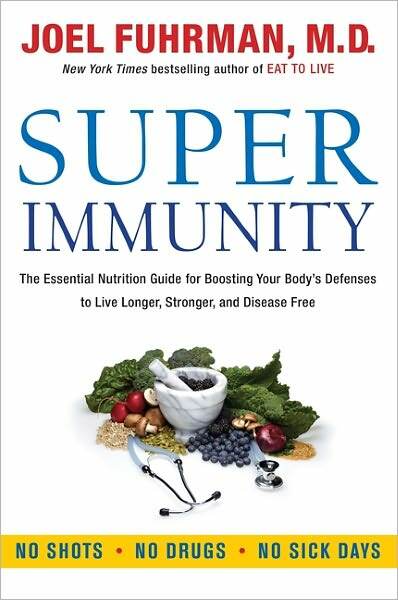 His new book, SUPER IMMUNITY, will be released September 20th…I can’t wait! To order the book, click here (Amazon) or here (Barnes & Noble). WHICH FOODS ARE MOST PROTECTIVE AGAINST COLON CANCER? POSTED ON SEPTEMBER 8, 2011 BY JOEL FUHRMAN, M.D. It is estimated that there are more than 100,000 new cases of colon cancer diagnosed each year in the U.S. alone, and colon and rectal cancers are the third leading cause of cancer-related deaths.1 The American Institute for Cancer Research estimates that forty-five percent of these new cases could be prevented by following a few simple lifestyle habits: avoiding processed and red meat, exercising regularly, maintaining a healthy weight, and limiting alcohol consumption.2 But we can do better – imagine the level of protection if we not only avoided carcinogenic foods, but also focused on eating the foods that work on a cellular level to prevent colon cancer. So which foods offer us the best protection? Anti-cancer compounds have been identified in many plant foods: for example cruciferous vegetables, mushrooms, and the onion and garlic family are known to contain substances that can prevent cellular processes involved in cancer development. Certainly, a diet high in fruits and vegetables in general is protective3-5, but many observational studies on diet have not investigated specific food groups, only broad categories like “fruits,” “vegetables,” etc. 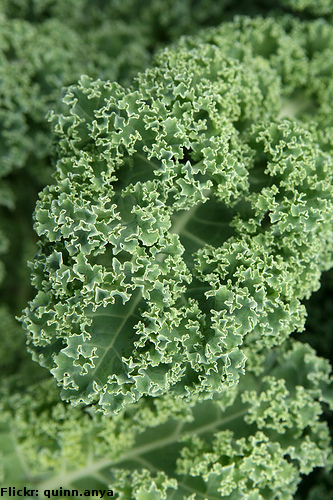 But there is a wide range of anti-cancer activity in the wide range of plant foods – for example, kale is more protective than iceberg lettuce. Identifying these protective plant foods helps us to construct an anti-colon cancer diet. A recent study aimed to find some specific foods and food groups that protect against colon cancer. Twenty-six years after reporting information about their diets, subjects were asked whether they had undergone screening colonoscopy, and if so, whether they had physician-diagnosed polyps. The majority of colorectal cancers originate from polyps, so polyps are considered a precursor to the development of cancer. This study was part of the larger Adventist Health Study, which studies relationships between diet and chronic disease in members of the Seventh-day Adventist Church, which emphasizes healthy living in its teachings. All of these foods contain known anti-cancer compounds, and of course there are thousands of anti-cancer compounds in plant foods that scientists have not yet discovered. Each of these colorful plant foods contains a spectrum of micronutrients and phytochemicals that work in concert to protect the body against carcinogenic influences. Future studies will continue to reveal these phytochemicals and their anti-cancer properties. My new book Super Immunity, which will be released September 20, 2011, discusses in depth the connections between diet and cancer. For Dr. Fuhrman’s references from this article click here. Book image courtesy of Barnes & Noble. Can’t wait to read this…maybe he’ll have copies at the expo…so excited!!! Do not buy this book. Research the internet for all the info on super foods and spend your money on super immunity foods. Everything with this guy is spend your money with him. While I appreciate your taking the time to comment, I respectfully disagree. Dr. Fuhrman does have a lot of his own products and books, however there are a lot of people who want those products. I.e. Someone could research the internet for much of the information, whip-up their own oil-free dressings, or research which supplements they should be taking, but simply don’t have the time or the inclination to do so. I have spent years researching health and enjoy doing so and also love cooking and creating healthy recipes, yet I respect that not everyone likes to do that and wants a trustworthy source to go to for information about their health. Dr. Fuhrman has been a leader in nutrition based medicine for years and as such is a great resource for people. I am happy to throw my support behind a doctor who has been able to help a great deal of people reclaim their health. When you click on the link it will take you to a page that makes suggestions regarding which vitamins to take. Dr. Fuhrman has his own line of vitamins and that is what I personally take for my multi-vitamins. Hi Molly! 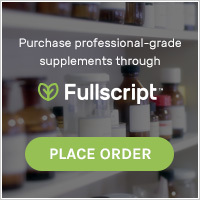 Dr. Fuhrman has some great vitamin information on his website.